Its really...symmetrical. Is that all that's in the base? Me Nix and Duke will discuss it. Wow, check out those boxes. You really out did yourself. Accepted! Welcome to Urban Wars. I added you to the Dropbox and made you a mod on the chat. Ill change your forum status to Team member and well give you access to ModDB. Ok guys, as we know, our models are absolute horseshit. We tried to get Ian, but his production costs were way too high. I found..another! He will work for free though! Nice Halo maps. They'll really fit in with the whole Middle Eastern theme. And I like how the ones that are relevant, the floor is covered in boxes. And one box is floating for some reason. At least add some rubble or a few barrels or something damn its repetitive. I didn't even know you were on the team. I saw your post and was like..were kinda doing this as a team not totally public and just passed it off. By the way, I currently have ZERO access to the dropbox either. We just went over how we don't care which game is better. Don't disrespect Ghost like that, he means no harm and is a nice person. You know, I could delete this forum and delete everything in the Dropbox any time I wanted. You do have someone with that power, Korvin just likes to flex it. Trey said he doesn't have enough time. Yet he has time to work on his halo maps, make videos of them, make Lua tutorials, make a Lua shell, and a whole Lua game. Of course thats not as time consuming as telling us what to do. I don't care who is leader, whether it be me or Duke. I prefer to have all my decisions based on what the entire team wants. I'm working on a lot of things and learning so I'm not exactly here 24/7. Regardless, we have a lot of gun models, we have some vehicles, but we haven't decided on new things that would require modeling. Most of it has been coding. If anything right now we need maps. Tom is doing whatever. Gears doesn't really come here much, he says if we want him to do something, leave a message in the dropbox. But I usually talk to him on Chatango. Haha. Duke. 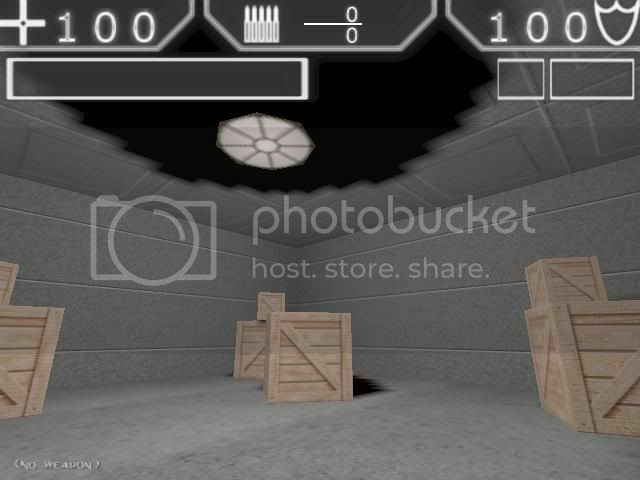 Left 4 quake needs to be given some credit too. Tyler is doing a good job, but they need to balance their workload and stop going off and on. And all of us who got banned, were banned for a reason. But I am just fine right here. However, I do wish you guys would be ata dbit more active. I now become top poster due to the help section. And Sarge, I seriously don`t think you do much. I don`t know that for sure, but you never did anything on Prime. Could be wrong, but I don`t think Urbanwars quality will go down much if your not on the team. I was banned from L4Q because Korvin thought I was for Eye for an Eye philosophy. I usually only post if I feel an actual need to. If I have nothing to lose I usually won't bother. Hes the second least active, hes done some nice modeling but hes threatened to quit like 5 times for trivial reasons. I'm tired of saying no don't go, he can make his own decision. By now I really don't care. The problem was resolved a long while ago. Dude i was only kidding about the whole shabang! **** it. im out. They were letting it off as a joke but you continued..like 2 times. Sarge, you got banned for trolling a guys work and continuing after they told you to stop like 5 times. You deserved that ban in every sense of it. Don't see why you have to hate Sam for it. If he didn't do it one of the other mods was going to. Most people have heard of shellshock and if they don't know what it means exactly they should at least know it has to do with war. I guess I shouldn't assume people in English speaking countries speak English? Being that that word is a part of the English language and we've all been speaking English since we were like 3.